Lynk Packaging has full service capabilities, including custom in-house design, a specialized warehousing program, and point-of-purchase display options. We will tailor any solution to your needs based on our 33 years of expertise in the packaging industry. • Complete CAD design suite including prototypes, TOPS (Total Optimization • Packaging System), Transit testing, and UN certified cartons. • Linerboard capabilities ranging from Triple Wall through the complete range of double wall & single wall variants. Lynk Packaging has the size, scale and experience to help with any warehousing and distribution challenge. We understand that warehouse distribution is the final key to getting your products to the market or your customer. You can trust Lynk with this critical piece of the logistics process! We will design a warehousing program developed specifically to your unique needs. We will deliver your custom packaging products in our company owned and managed fleet of trucks. Specific reports will be given to you on a wide array of data including but not limited to: current inventory levels, historical consumption data, print and structural specifications, testing results, and many others. We will keep you up-to-date on Market trends relative to industry pricing and emerging technologies. 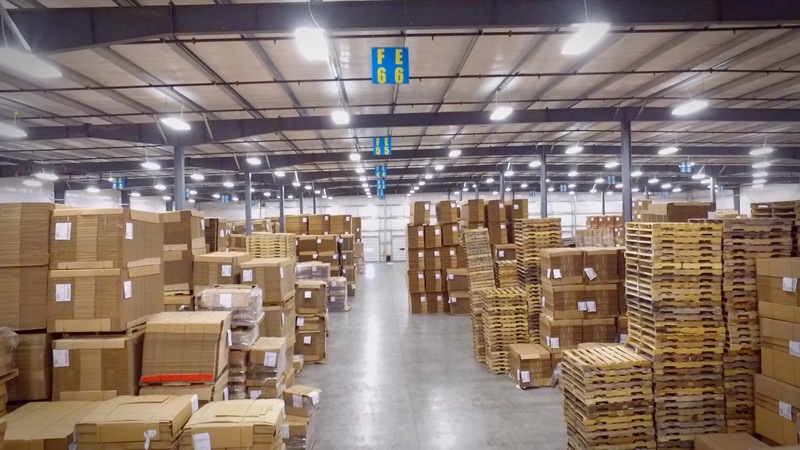 We are always looking for new and unique methods to provide more value for our customers as related to warehousing. Your materials will be shipped within 24 hours from stock, while pricing remains constant regardless of quantity released. We provide kitting and sequencing service that give you a competitive edge in today’s manufacturing environment. With our focus on environmental sustainability we also have various recycling programs and hold an ISO 9001;2008 with design certification.